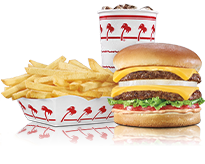 In-N-Out Burger - West Jordan, UT, 7785 Jordan Landing Blvd.. Welcome to our restaurant in West Jordan, UT. NE corner of Jordan Landing & 7800 S.; At Jordan Landing Shopping Cntr.